Testament to 10cc’s ongoing appeal, the band can count a generation straddling array of fellow artists, everyone from Chrissie Hynde to The Feeling’s Dan Gillespie and Axl Rose to Sophie Ellis Bextor, among their many millions of fans. 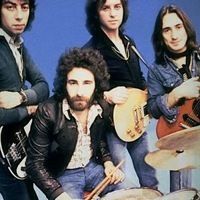 And now a new generation is discovering 10cc for the very first time. That loyal little song-bug has stood him in good stead through decades of distinction as one of the UK’s most productive and imaginative hitmakers. We’re talking very much in the present and future tenses, too, since he continues to write with contemporary hitmakers and see his classics renewing themselves constantly, as with the news that ‘For Your Love’ and ‘Heart Full Of Soul’, two of the timeless hits he wrote for the Yardbirds, have lately been part of live sets by the White Stripes. 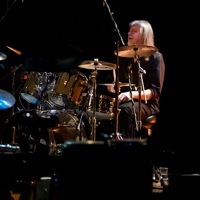 The headlines of Graham’s career may always be his early compositions for the scenesters of the ’60s, his crucial role in the super-intelligent ’70s pop of 10cc, and his livewire combination with Andrew Gold in Wax during the ’80s. Born in Oxford, Rick was plucked for a band called Gentlemen to join 10cc towards the end of 1976, at the launch of the Deceptive Bends album and has been part of the team ever since. 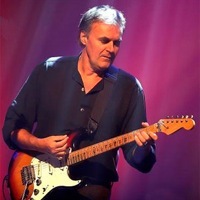 From 1979, he also toured and recorded with Mike Oldfield and with him co-wrote the song Family Man, which become a worldwide hit for Hall & Oates, and won him an ASCAP award for best song in 1984. 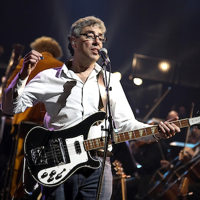 Fans of 10cc may recognise Iain Hornal from his occasional performances standing in for Mick Wilson in the band, and from Graham Gouldman’s Heart Full Of Songs tour in 2014. Hornal’s music betrays a lifetime of such artistic diversity that it’s hard to pin him down. He’s played on the world’s largest stages as a touring member of Jeff Lynne’s ELO, but his talents as a lead vocalist and songwriter are equally impressive. Keith Hayman is Sir Cliff Richard’s musical director, arranger and keyboard player, first working with Richard in 1996 as production vocal supervisor/arranger and keyboard player on the hit musical Heathcliff. Numerous tours, recordings and TV performances have followed. Some of the highlights include The Hyde Park Concerts (1999), An Audience With …Cliff Richard (LWT, 1999), and The Princess Diana Tribute Concert at Althorp Park (1998). Recent work with Cliff includes the Cliff Richard and The Shadows Final Reunion World Tour 2009/2010 and Richard’s 70 th Birthday celebration Bold As Brass concerts at the Royal Albert Hall (2010).